Weight painting not painting on back faces when "Show whole scene transparent" on. 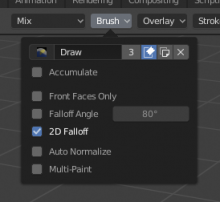 Enable "Show whole scene transparent"
Select cube, enter weight painting mode. Select subtract brush. Draw on some faces. Faces in the back aren't affected. Philipp Oeser (lichtwerk) closed this task as Invalid.